Overtime, Game 7; these are the games as hockey fans we love. 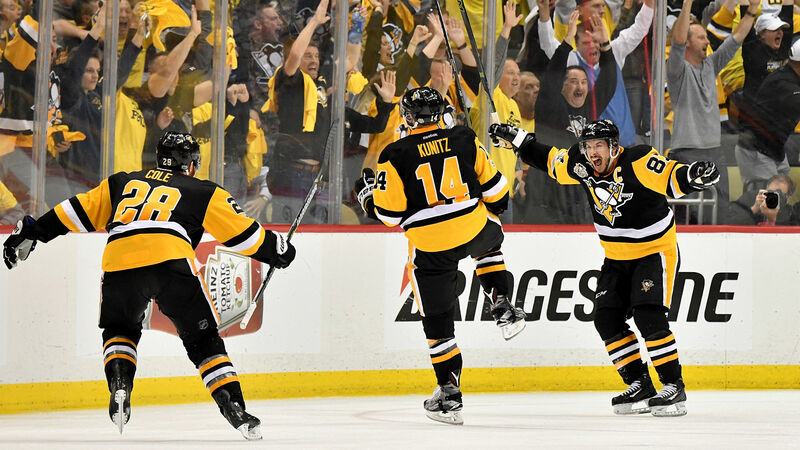 Thursday night, the Penguins defeated the Senators 3-2 in double overtime to clinch their bid to the Stanley Cup Finals vs the Nashville Predators. The game winning goal coming from 37-year-old Chris Kunitz, which was his second goal of the night. This entire playoff, and regular season has been filled with unsung heroes. Yes, we have the three-headed monster in Malkin, Crosby, and Kessel leading the way in playoff points. But there are a few guys pulling some of their own weight. Names that stand out are Jake Guentzel, Chris Kunitz, Bryan Rust, Olli Maatta, and Brian Dumoulin. What an amazing rookie campaign Jake has put together. Those who watched Jake play in WBS before being called up knew the type of impact he could have in the NHL, and what an impact he has made. Some may ask why he made this list of surprise players these playoffs, but I don’t think anyone expected a player with 40 NHL games to be in the top 5 of playoff scoring. Not to mention 3 GWG this postseason. Chris Kunitz, what a guy. This is a player that Penguins fans have wanted to be dealt out of town for the last three years at least, and I am guilty of criticizing him as well. But with Kuntiz you know what type of player you are going to get. He’s the type of guy to battle in front of the net, finish his checks, and hey, even score goals when reunited with Crosby. Kuntiz has scored the most important goal of these playoffs so far (2OT ECF) so how could he not be a hero? Rust is a player that really emerged last season when the Pens were faced with injuries and he made a similar impact that Guentzel is making this year. Rust is another guy that will finish his hit and grind in front of the net, but also comes up with some very timely goals. This post season, Rust has 2 GWG those goals being Game 5 vs CBJ, and game 7 vs Washington. Rust plays big in big games, so keep an eye out for him the Stanley Cup Finals. Maatta has been criticized time and time again, and granted he has not been the player the Penguins expected, he has held his own. Some unfortunate injuries have slowed Maatta’s growth, but minor things such as foot speed seem to be an issue for him. To Maatta’s credit he has played well this season, especially vs the Sens. Scoring two goals in as many games, and one being a GWG in the 7-0 victory, Maatta seems to be finding his way as of late. 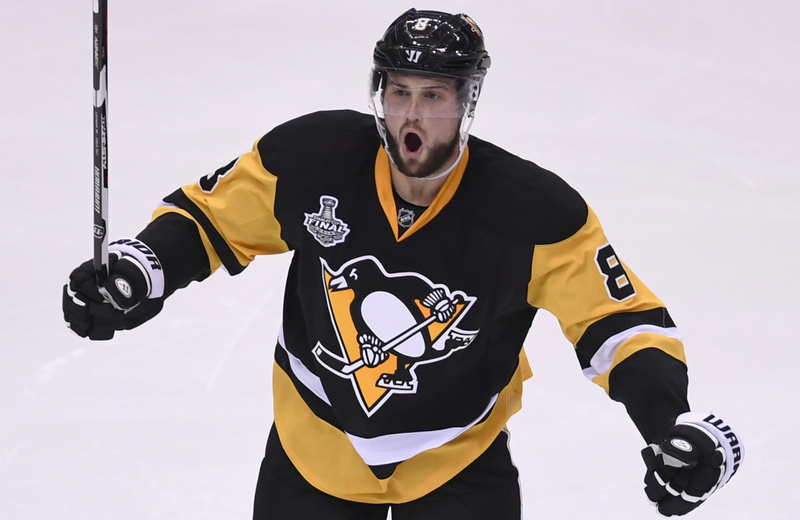 Honorable Mention: Brian Dumoulin- Dumo gets my honorable mention for this list. Next to Ian Cole, he may be the best defensive defenseman the Pens have. Logging 20+ minutes in almost every playoff game, he is faced with the task of shutting down teams’ top offensive lines. He is a valuable player to this Pens roster that often goes under the radar. This Penguins team is filled with superstars as we all know, but there are a ton of depth/role players that are just as important as Crosby or Malkin are. Role players play a key part in winning teams, and the Penguins have built their team using high end role guys. They played a huge part in the 2016 Stanley Cup Run, and will again be a key factor in the 2017 Stanley Cup run.